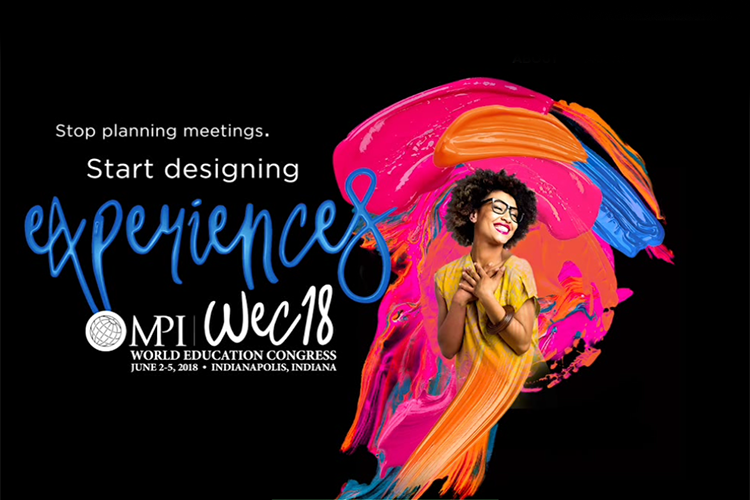 The European Meetings & Events Conference is the testing ground where you can experience new learning styles and conference formats, so you can more confidently apply these innovations to your own conference. Would you like to accept the challenge of making your next conference more effective by using new learning styles and insights? Like most organisers, you know that it can be done better. You know that with a different set-up for networking, there is a greater chance that the participants will meet more new, authentic contacts. You know that by deviating from ‘on-stage speaker tells a story to a large audience in the room’ information is transferred better and is retained for a longer time. You know that by crafting a more impressive experience, participants will be more likely to register for the next edition and encourage acquaintances and colleagues to do the same. And yet, the structure of most conferences scarcely changes. Any major change is quickly viewed as an irresponsible risk, at least by the board or management. And that is not entirely unjustified because the question remains as to whether you can guarantee that it will work for your target group. 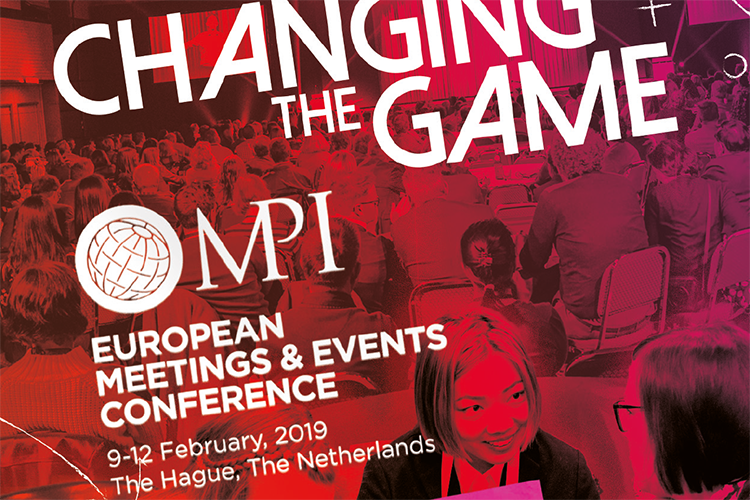 You can break this impasse by participating in the upcoming European Meetings & Events Conference (EMEC19), which is organised by MPI; the professional association for the meeting & event industry. From 9 to 12 February 2019, you can learn about new conference formats in The Hague and experience them for yourself to determine whether they are relevant for your own conference. Under the slogan ‘Changing the game’, EMEC will provide a safe environment for you to develop your own best practices. At the start of the conference, there will be a substantial focus on getting to know the other participants, because that lays a solid foundation for a positive event. Often, networking moments are programmed either for halfway through or the end of a conference, so there is no longer time to deepen those contacts. 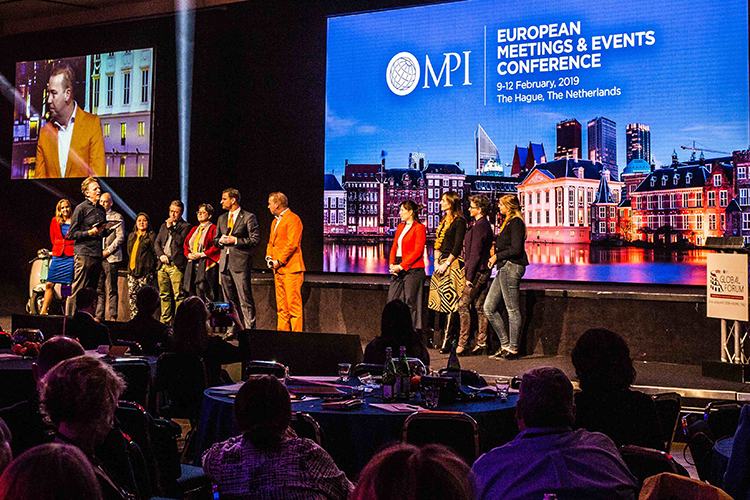 At EMEC19, the participants will immediately forge new connections on the Saturday evening. So, there will be no welcome drink where the networking is left to chance, but rather a more facilitated way to meet people. You will receive assistance with getting to know delegates from your own country as well as your international peers. On the ‘lazy Sunday morning’, you decide whether you want to continue in the same vein or just to have time to yourself. Participants who want to take part in group activities can, for example, join a running group, go on a trip on an RIB boat or attend a collective museum visit. The mutual interest in such a group makes it a great opportunity to converse with others. At the end of the morning, a bus will be waiting to transport you to a learning journey of your choice. The main idea here will be ‘cross-industry innovation’, where you learn about the insights and applications from other sectors that you could use when organising your own conference. Here, you will be introduced to the four tracks of EMEC19: risk management, design thinking, leadership and meeting perspectives. Depending on which track you choose, you will for instance visit the TNO research institute, TU Delft or the Port of Rotterdam, where experts will gladly share their knowledge and experience. During the bus trip back, participants will begin translating the material they’ve learned into concrete applications for meetings and conferences. All groups will meet at the Fokker Terminal industrial location where, after a keynote speech, they will work together using their new-found knowledge. Innovative learning methods will be used for the direct application and anchoring of the recently obtained information. In the evenings, it’s time for ‘Dinner on your own’. Locals will share their favourite restaurant with participants, and everyone can choose which group to join for which restaurant. The organisation’s concierge service will take care of any of your logistical issues. Monday, the third conference day, will be the first visit to the main venue: World Forum The Hague. No plenary session will be held here, instead participants will be directly divided into the four tracks, with four workshops each. Each track has a storyline so that if you decide to follow all the sessions, you will acquire highly specialised knowledge on the theme in question. Conversely, the workshops are also finished chapters, so you may choose to alternate between the various tracks, to get a broader perspective. In any case, the workshops are interactive sessions in which the speaker only talks for half of the time. During the other half you, as a participant, will be busy applying the presented material to your daily work, so you have time to let the newly acquired knowledge sink in. One example is the Scenario Based workshop, which is part of the Risk Management track. This programme focuses on visualising the actual threats that your events could face and collaborating to assess risks, create solutions and work on crisis management skills and crisis communications. The Monday evening is reserved for the conference dinner in combination with MPI Foundation’s fundraiser Rendezvous. The organisation promises to treat you to a tropical beach party in February. 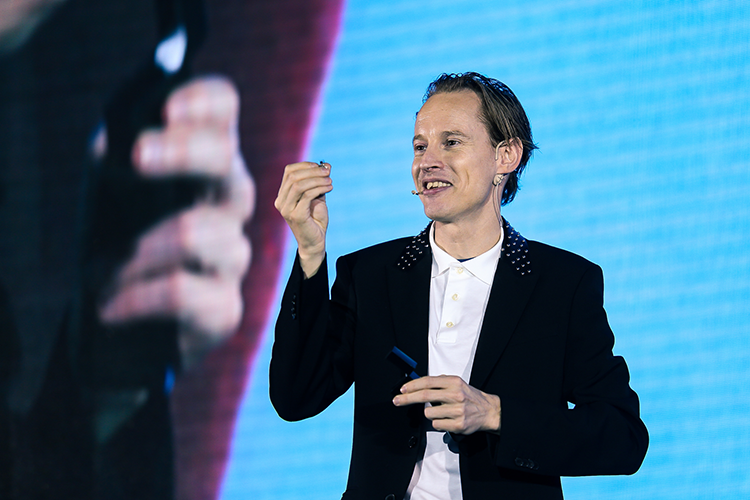 On Tuesday morning, the themes of the four tracks come together through expert sessions and best practices, so you can have a better idea of how to organise a solid-proof, innovative conference using the ideas presented during the conference. At the end of the conference, the only remaining business will be to say goodbye to your new acquaintances and to, perhaps, lay the foundation for staying in contact. There will be an opportunity to say goodbye during the final lunch. The only question is whether this will take place in the traditional way.